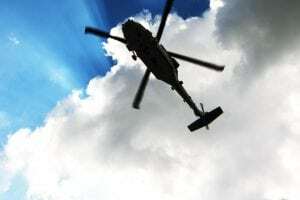 The SB-1 Defiant has begun spinning rotors in West Palm Beach, Fla., where the Sikorsky-Boeing team is readying the compound helicopter prototype for its first flight early this year. “The Sikorsky-Boeing SB>1 DEFIANT helicopter has completed its initial ground run and is currently advancing through the ground testing activity in the build up to first flight,” the joint venture told R&WI in an emailed statement. 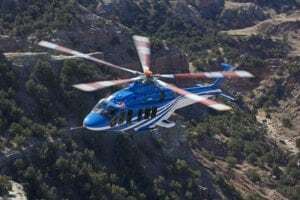 A video of Defiant spinning its coaxial rigid rotors while bolted to the ground was posted online by the companies on Jan. 31. The half-minute video includes about 15 seconds of footage of the blades turning at slow speeds from in front and beside the prototype. Its eight-bladed tail propulsor does not spin during the clip. A similar 30-second video, some of which is included in the produced version released Thursday, leaked and was posted online Jan. 14 by the website Defense Blog but without attribution or byline. 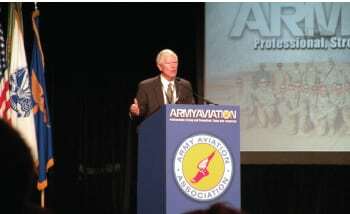 Neither Sikorsky, Boeing nor the Army authorized release of the footage until Jan. 31. 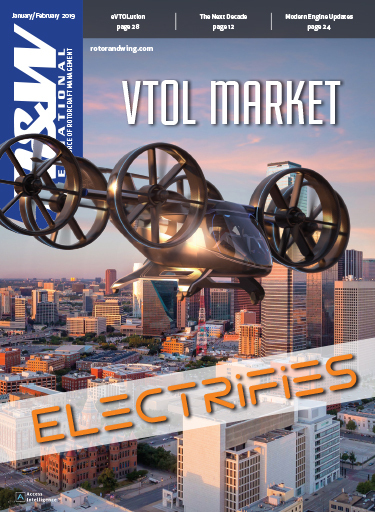 Defiant was meant to fly before the end of 2018, but development issues and a desire by Boeing and Sikorsky to very deliberately proceed with rolling out the aircraft led them to push first flight into first quarter 2019. 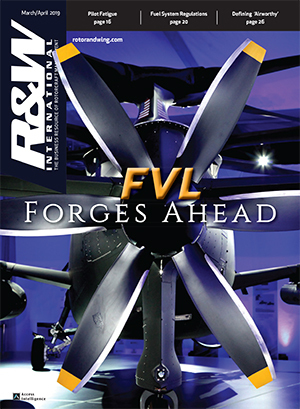 "Relatively minor engineering issues" found during runs of the power train system test bed - a mirror image of the aircraft bolted to the earth designed specifically to collect data and reduce risk before first flight - were cited as the reason for the delay in mid-December, according to Rich Koucheravy, Sikorsky’s director of business development for Future Vertical Lift. It was while running the PSTB that the engineering discoveries were found. The test bed was spun up to full power without rotor blades in October. In November, it began running with its eight rotor blades attached, fully mirroring the prototype that should lift off in the next few months. 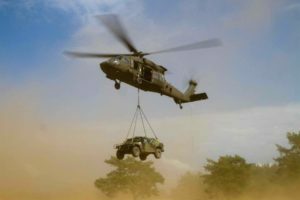 Part of the Army’s Joint Multi-Role Technology Demonstration (JMR-TD) program, Defiant is up against Bell’s V-280 Valor advanced tiltrotor, which has amassed at least 85 hours of flight time in the year it has been airborne. 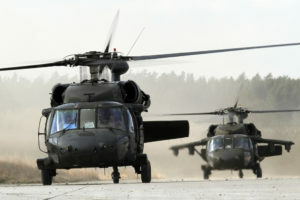 The Boeing-Sikorsky team is under no obligation for Defiant to lift off, but it owes the Army design and performance data under the engineering and manufacturing development contract it holds. 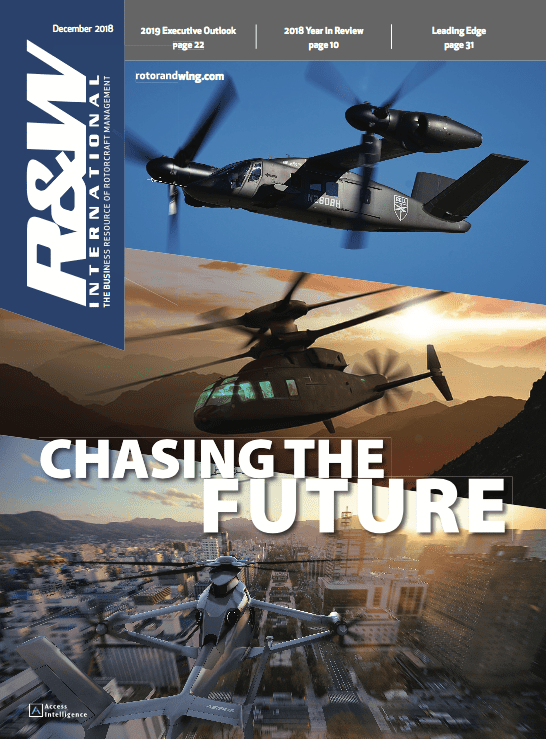 “The joint Sikorsky-Boeing team is working rigorously toward a productive, informative flight test program that will inform the next generation of military helicopters as part of the U.S. Army’s Joint Multi-Role-Medium Technology Demonstrator program, part of the U.S. Department of Defense’s overarching approach to Future Vertical Lift aircraft,” the Boeing-Sikorsky team said in the statement. 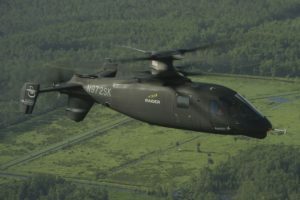 Sikorsky has amassed its own trove of experimental flight hours on the S-97 Raider, a scaled down version of the Defiant that has the same coaxial-rotor configuration with a pusher propulsor for high-speed forward flight.